What is it like to jump into the unknown? Should you leave your corporate career? Do you dare to start off from scratch? How do you get back on your feet and try all over again, after your last venture did not turn out to be the big success you had hoped for. 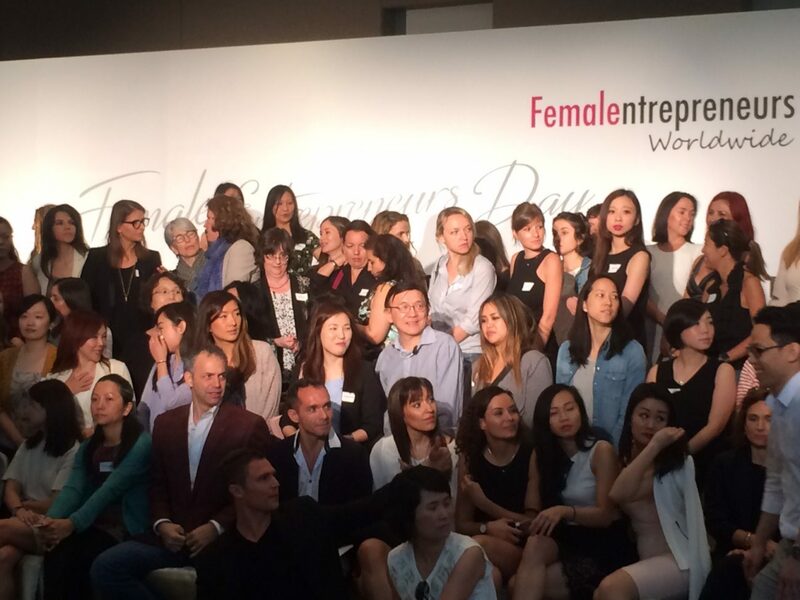 These were just a few of the questions raised at the Female Entrepreneur’s Day on May 7th 2016 in Hong Kong. This campaign to promote female entrepreneurship and leadership is also scheduled to be hosted in Singapore and London in the coming years. Held at Cyberport, the organizers from Female Entrepreneurs Worldwide created an inviting atmosphere for inspiring discussions and networking with likeminded entrepreneurs and those, who still try to figure out if and how they should start their own business. “As a superwoman you like to be good at everything”, said Hiam Sakakini, Head of Manager Development at APAC, “but we need to know our limits”. She asked for help, when she was overworked and was surprised how happy and engaged people felt that answered her call for help. She thinks everyone should know what they are great at and surround themselves with team members that can contribute qualities they lack themselves. She encouraged new entrepreneurs to focus on their special assets as a small enterprise to attract talent. “There is a lot that small companies can offer new team members that the big corporates cannot”, she pointed out. Freedom, personal touch, flexibility were just a few of the qualities that the participants brought to the discussion from the floor. Hiam’s charismatic and humble speech kept the audience engaged and would have deserved the keynote spot. Have a dialogue with tomorrow! David Goldsmith was one of the few men sighted at the event venue. He is the Co-founder and President of New York, Hong Kong based Goldsmith Organization and called on the audience to be aware of future trends which will affect their business in the long run. “Why can you think years ahead when it comes to your children, imagining their graduation, their wedding, why can’t you do that when it comes to your business?”, he asked. In his publication Paid to Think: A Leader’s Toolkit for Redefining Your Future he offers tools to take the uncertainty out of everyday leading and convert ideas to realities. At the panels the speakers portrayed professional and personal challenges when first setting up their business. “Stop talking. Just do it!” was an advice they often received and one they would also give women who are still in doubt if they should really dare to take on entrepreneurship. “Entrepreneurship is not for everyone, but you won’t know until you try it”, said Christina Lee, Founder and Managing Director, Global Green Economic Consulting. Shalini Mahtani, CO Founder and Chair, The Zubin Foundation introduced her latest social responsible company Hospital advisor, a web based platform giving a Quality of Care score for each hospital in Hong Kong aiming to empower patients. The company will launch on May 18th 2016 and invites strategic investors who are passionate about giving back to the public. You can register for their launch event here. Reality Check: not everything is rosy! 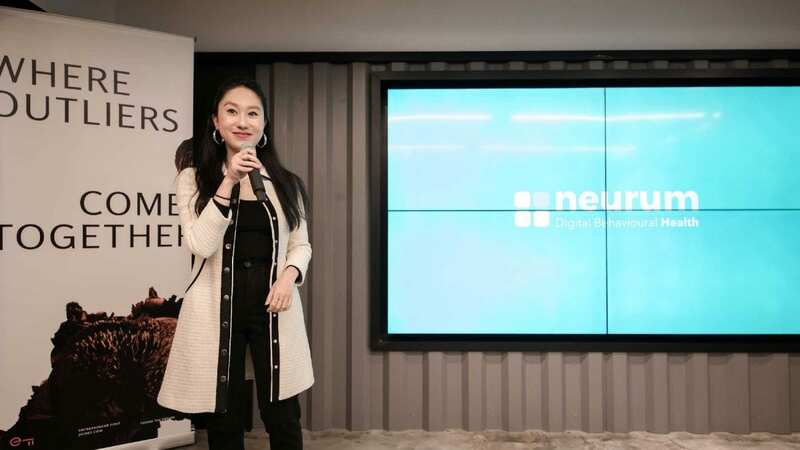 Despite the positive energy and entrepreneurial optimism shared by the organizers, speakers and participants alike, looking at Hong Kong’s young start up ecosystem, there are numerous challenges ahead. Julia Charlton’s remarks offered the necessary reality check. Her company Charltons provides high impact company legal advice to Hong Kong startups, early stage and growing companies on all aspects of their businesses and operations. “It proves very difficult to list small businesses in Hong Kong”, she explained. Furthermore many startups find themselves struggling even with the most basic business needs, like setting up a bank account. Fundraising is another headache to most. Startups often need to look for investors within their circle of friends and family. An investor’s point of view offered Carman Chan, Founder and Managing Partner of Click Ventures. She encouraged entrepreneurs to enter pitch meetings with a high level of energy. Keeping investors updated on company news and learning some new skills while waiting for their verdict is something she found helpful when she was looking for funding herself. Today, she forms her investment decisions by, among other things, judging the ability of the entrepreneur to learn fast. “Plan A does not always work out. You need to have a Plan B.”, she said. Follow updates on Female Entrepreneurs Worldwide, organizer of the Female Entrepreneur’s Day here.